Agrium/ MOPCO factory has caused the murder of one Egyptian at least and this Egyptian is late Islam Abdullah who was shot in the back !! First of all here before anyone starts to discuss anything in this topic, I would recommend that you see this photo carefully. 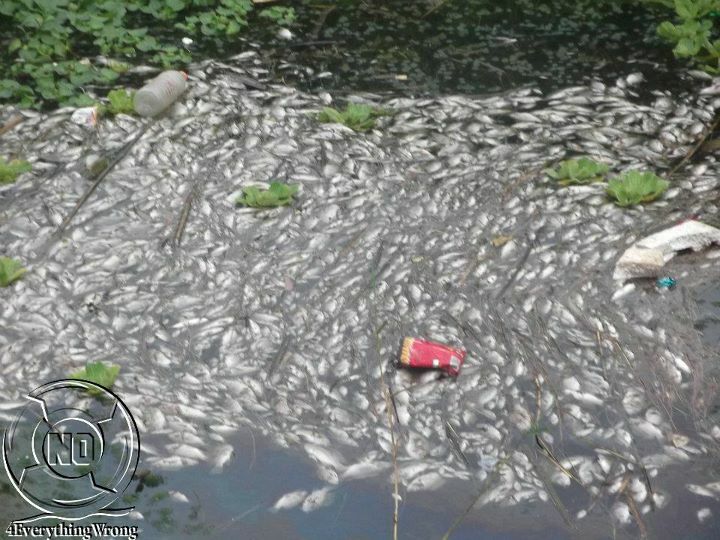 This is photo is from a lake near the pollutant factories in Damietta , you can see the dead fish floating. I do not know the date of the photo but it was taken by activist Amar Radwan. Now this video shows the reaction of the people of Damietta yesterday after the murder of late Islam Abdullah. It was filmed and edited by Mohamed Mansour from Al Jazeera talks. The security directorate of Damietta official Facebook page announced that the 25 protesters who were detained yesterday have been released by the demand of the people. Of course the FB page did not mention that they were released because the rest of the protesters from the locals besieged a small army unit “an officer and 8 soldiers” from military police for hours. PM Essam Sharaf gave his orders to cease all the construction works in the MOPCO Factories “2” and “3” till the mother company MOPCO adjusts its conditions in 3 months otherwise the company will be closed completely. 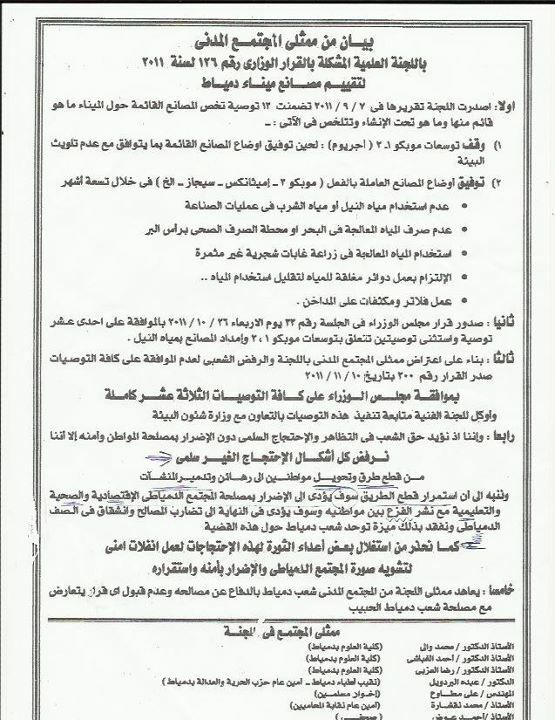 Interestingly enough we found this document signed by the civil society scientific commission from Damietta on Thursday 10,2011 about that decision. As you may know this crisis is not born yesterday , since the end of Ramadan and the people were protesting the pollutant factories in Damietta. Based on a ministerial decree No.126 for year 2011 a scientific commission from civil society in Damietta was formed to evaluate the conditions pollutant factories in there. That commission was made of several university professors as well prominent personalities in Damietta including the secretary general of the Muslim brotherhood’s F&J party there. The commission finished its work and presented its final report to the cabinet on 9/7/2011 including 13 recommendations which Essam Sharaf approved on 10/11/2011. To stop the extension works of MOPCO “1-2” aka Agrium till the factory complies with the environmental standards. Not to use Nile river water or drinking water for industry. 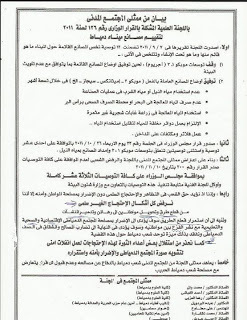 Not to dump the waste water of the factories in the sea or the sewage station in Ras El Bar. The commission warned in its statement from cutting the highways and those who will use this to defame the society in Damietta. These recommendations were presented to the government in September 2011 !! Now the government at first approved on 11 recommendation and then accepted the rest on 10/11 but then things erupted as we all know on 13/11 and one civilian is dead !! The full closure of polluted factories in Damietta : MOPCO, MOPCO 1, MOPCO 2, Methanex and SEGAS , banning the construction of similar factories and complexes. Dismissing the current governor of Damietta for failing to solve the crisis. Open a new investigation to know who is responsible for the murder and the injury of protesters. 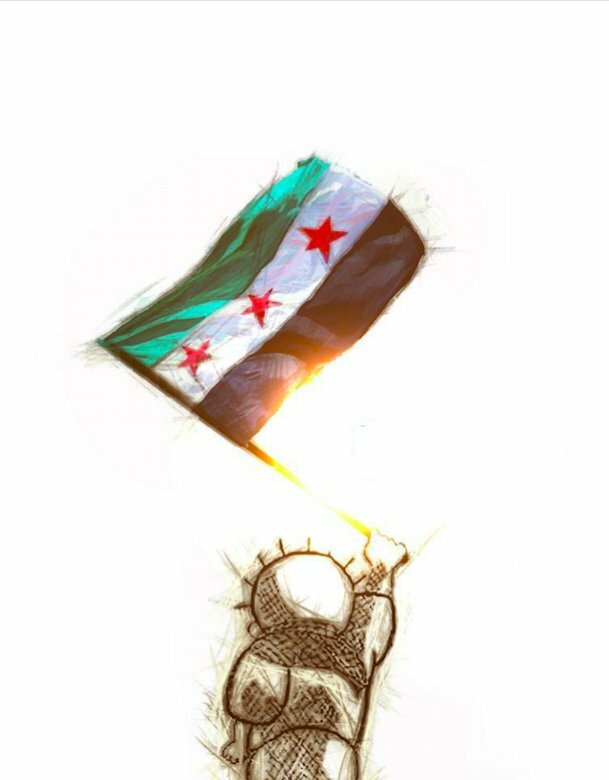 Compensating the family of the martyrs and injured. The number of protesters has decreased in the sit in due to the bad weather conditions yet the highways and roads are cut despite several political powers and icons are against this move from inside Damietta like Essam Sultan and that public commission signed that statement above or outside it like Ibrahim Eissa. Of course MOPCO could not stand still in front of what is happening and the fact that they are going to be shut down. Now the shareholders as well as the factory’s workers are protesting the decision of the PM.Not more than 500 are working in the factory by the way and Damietta is from the governorates with the lowest unemployment rate. NBE, Misr Bank and Arab African bank gave a huge loan to MOPCO by the way. Please do not lecture me on investments because there is no use of foreign investments when the locals are sick and die in early ago. Do not lecture the people of Damietta about the importance of work and investments because before you know they export to Europe furniture , they export to Europe yachts. Instead of lecturing them about investments , I think we probably should work from now on legalizations that protect the national furniture industry in Damietta. 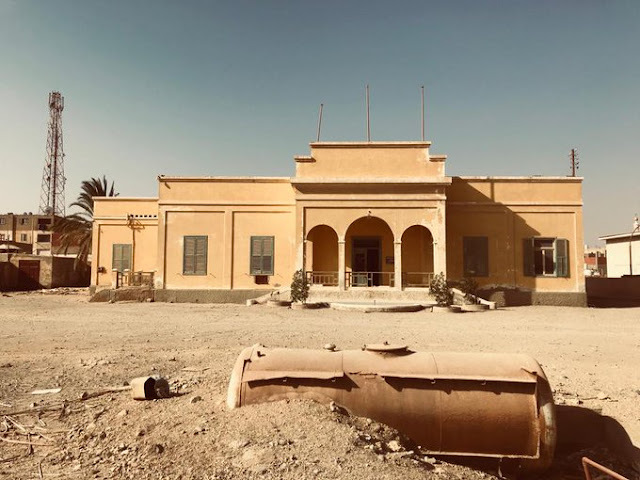 Methanex factory is being considered as the second Agrium in Egypt.Ironically its controversy started as well in 2008. Its water station was torched down in the past 24 hours. SEGAS liquefied natural gas complex in Damietta is working since 2004 and it exports natural gas to Spanish market. The East highway of Ras El Bar is reopened as a gesture from the protesters. It is worth to mention the elections are having its shadow with MB blaming Essam Sultan of using this to promote for this party and Sultan is attacking them as you have seen in the previous post. Dear Zeinobia, I will lecture you exactly because you do not like it. Because you are as ignorant as the protesters in Damietta. however the difference is that you could have done some serious research but you did not. Again you allowed your emotions carry you away and to taint true judgement. As you say, you have no idea when the photo was taken. Even more you mjust admit that you do not even know where it was taken. Of course an activist constructs the facts according to his liking. He justnot trustwhorthy. The people in Damietta are totally misled by such activists and there is absolutely no evidence that any environmental damage is cause by MOPCO. ALL is nothing but a delusional campaign by panic causing activists and some strange media. Such odd behavior is driving foreign investment out of Egypt and destroys the very existence of thousands of Egyptian families. The locals are not more sick than in any other Egyptian city. 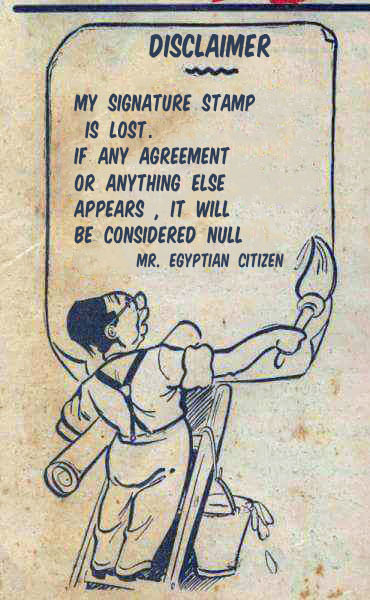 This is all a ruse, just for the sake of creating a big fuss - the Egyptian way! @DR3MRO, Do you have photos showing this to prove to the world what is going there ?? Can you go again and take some photos to prove to the people the disaster taking place coz of these death factories. Would the MOPCO PR guy please let us know the following? 4-the number of people it employs. MOPCO did not cause any murder. 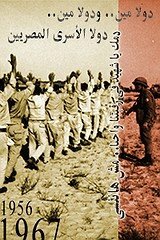 They did not shoot and they did not invite the victim to besiege the army. The Nile is polluted by the farmers who dispose their waste, chemical fertilizers and other stuff reckless into the river. MOPCO is majority owned by the Egyptian government so you should ask them about gaz prices. Because of the closing now 600 families have no income. The new project would have created 480 new jobs. 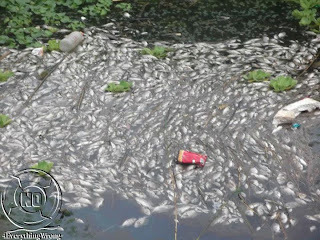 Environmental pollution is a big problem in Egypt, the irrigation canals all over are full of rubbish and waste products - there has been no regulation, and without regulation factories will always pollute the environment (this happens all over the world). It's a symptom of the lack of people's voice in government, ministers and industrialists have never had to take into account the effect of their money making schmes on the health of the people.